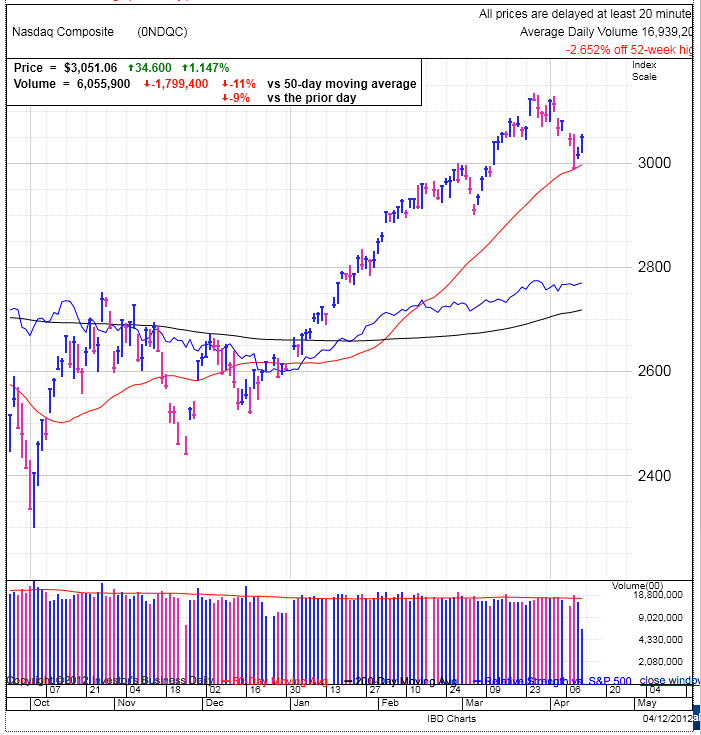 Indexes are up for the second consecutive day after the recent sell-off. The SPX decisively regained the 50dma this morning and the NASDAQ extended its bounce off of it. While the price action is very compelling, the volume is mediocre at best, exhibiting modest excitement by market participants about this rebound. LNKD is using this strength to launch up 7% and other high beta growth stocks are also up nicely. But while the two-day rebound is encouraging, the market still needs to do a bit more to prove this isn’t just a suckers rally. No doubt Tuesday’s breach of the 50dma flushed out a lot of weak holders and triggered a wave of stop-loss selling. But we quickly regained our footing after that autopilot selling exhausted itself and now many of those sellers are regretting their momentary weakness. So where does this leave us? The bears are uncertain of their position given the recent rebound and the bulls are uncertain given the recent sell-off. If the recent sell-off was the best the bears could manage, we’ll head higher from here. But on the other hand, if the last two-days mediocre volume rally is the best the bulls can muster, then we could very well head lower once the buy-the-dip crowd runs out of money. The truth is I have no idea what direction this market is leaning and it could break either way and we simply need to wait for that confirmation, either a follow-through day to the upside, or a breakdown to the low side. But this recent check-back to the 50dma has been productive given how long we were above it and it will make it easier to resume the uptrend. There are plenty of examples over the last few years of a quick 50dma check before resuming higher. This quick pause and refresh keeps the indexes gains healthy and sustainable. If we do resume the uptrend, look at stock that withstood the sell-off by staying within their recent trading range, these are the stocks showing broad support and will likely continue their climb higher. This will make for good longer-term holds. But popular stocks that sold-off and tested their 50dma, and even broke it, will have the best opportunity for a quick profit as they bounce back. But rather than try to pick a bottom, wait to buy the high volume bounce. The next two days will tell us a lot about the quality of this rebound.